Cabo San Lucas Weddings – Plan Your Dream Wedding in Los Cabos, Mexico! The turquoise waters of the Sea of Cortez, natural beauty, deep blue of the Pacific Ocean and sun-drenched beaches make Los Cabos, Mexico a breathtaking backdrop for a destination wedding. Cabo San Lucas is just a short flight from most major U.S. cities, offering you convenience, warm weather and luxurious accommodations. After your wedding, you're already in one of the world’s premier honeymoon destinations renowned for great activities, gourmet dining and fantastic nightlife. We work with the area's best professionals to ensure your big day is everything that you dream. Whether you choose to be married on the beach, in a villa or in a chapel, your day will be your vision come to life. Our team works within your budget to provide options. Our friendly and professional staff and have many of years of experience assisting hundreds of couples in planning their big day in Cabo. We’ll offer plenty of suggestions for the ideal location, flowers, wedding cake and music. Our beauty experts provide hair, makeup and spa services to make your party picture perfect! 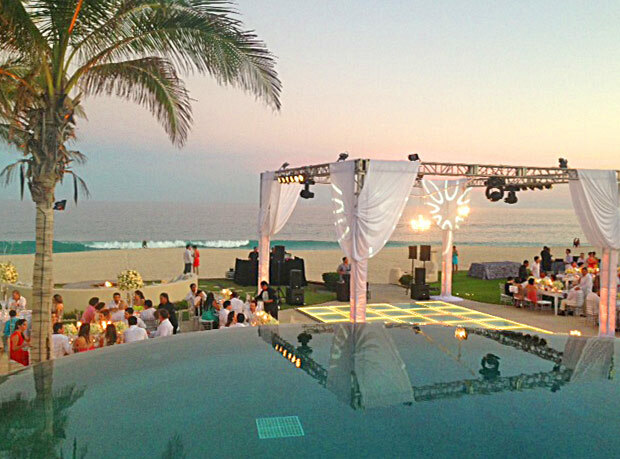 To start planning your Los Cabos wedding, give our team of Cabo wedding professionals a call at 1-888-881-2226. Learn more about our wedding services including accommodations, wedding locations, beauty services, catering and more. Discover the most breathtaking villa rentals and beachfront resorts in Los Cabos, we'll help you find the perfect wedding venue! 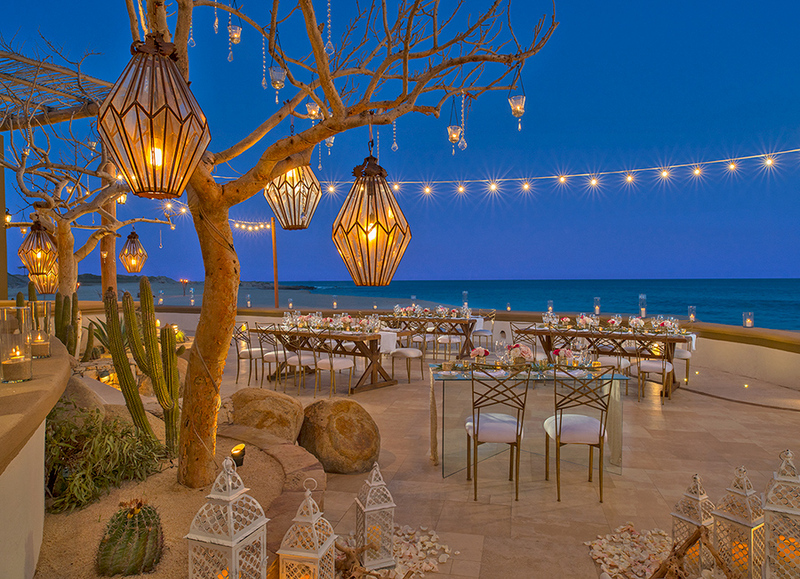 Get inspiration for your Cabo wedding on our blog, including photography, decor ideas, trip reports and wedding locations. Latest deals in your inbox! Our expert team of experienced planners and coordinators can arrange anything from small intimate beach weddings to large formal celebrations. Our friendly and professional staff can offer plenty of options and suggestions to assist you in creating your perfect event. 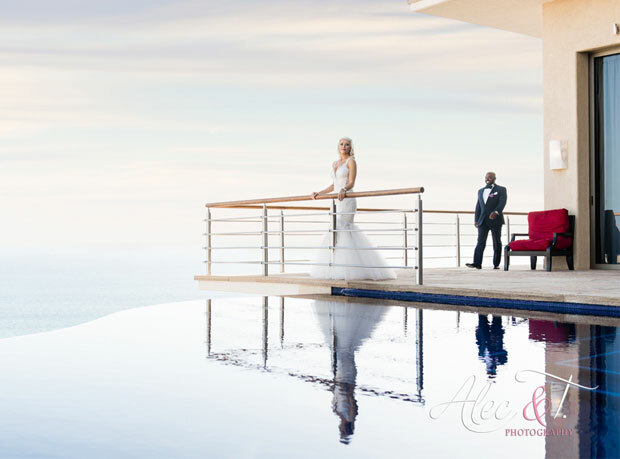 A villa rental in Los Cabos, Mexico can be an incomparable setting for your destination wedding, offering exceptional flexibility, privacy, and spectacular ocean views. Enjoy the option of working with your choice of catering companies and wedding vendors to reflect your personal style and budget. Cabo's stunning beachfront resorts are an excellent option for a destination wedding. You'll enjoy a variety of spectacular locations, with the resort's catering menus and décor options available to add a few personal touches to your special celebration. Choose from a range of resort wedding & honeymoon packages or customize your own villa wedding package with a variety of outstanding options tailored to your taste and budget. Our hundreds of happy clients speak for themselves! I was incredibly impressed with the level of professionalism displayed on the day of the wedding. Everything was incredibly smooth and seamless and the timeline was followed. he vendors that you suggested were all fabulous, and were worth every penny. We had our wedding at Villa Grande and could not have possibly found a better wedding venue. The views from the villa are stunning, so our wedding pictures are absolutely gorgeous. This villa is great for a wedding because there are so many different spaces that can be used. We had a ceremony on the patio overlooking the ocean, followed by cocktails in the little courtyard with the fountain behind the house. Upon entering the villa I was amazed at its ambiance, it was better than the pictures I saw online and what I had imagined. It was so relaxing and serene that it made the stresses of putting together a wedding dissipate. Thank you for the wonderful accommodation and the superb service.